With Calista Brill’s sincere story and Jennifer A. Bell’s vibrant illustrations, Little Wing Learns to Fly is utterly convincing as a sweet coming-of-age tale. Fans of Finding Nemo and Giraffes Can’t Dance will love rooting for Little Wing as the little dragon that could. 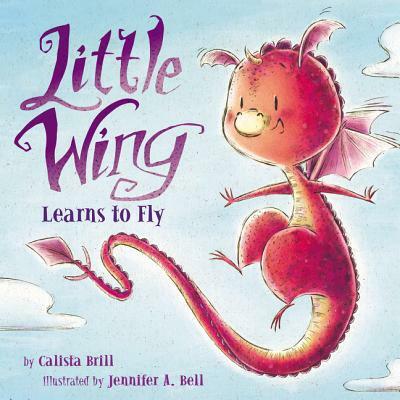 Children and adults alike will get carried away on Little Wing’s journey home! Originally from Detroit, Michigan, Calista Brill is a writer and editor based in New York City. She writes stories about boats, cats, dragons, construction equipment, elephants, and many other things. She likes reading comic books, sewing quilts, and eating lime Popsicles. Jennifer A. Bell has illustrated more than twenty children's books. She spends her days and most of her evenings drawing images that can be found on greeting cards, magazines, and books for kids of all ages. After several years of living in Minneapolis, she recently relocated to Toronto, where she lives with her husband, son, and cranky cat.